Activists projected pro-EU messages onto England's Europe-facing cliffs amid the ongoing Brexit turmoil in London. 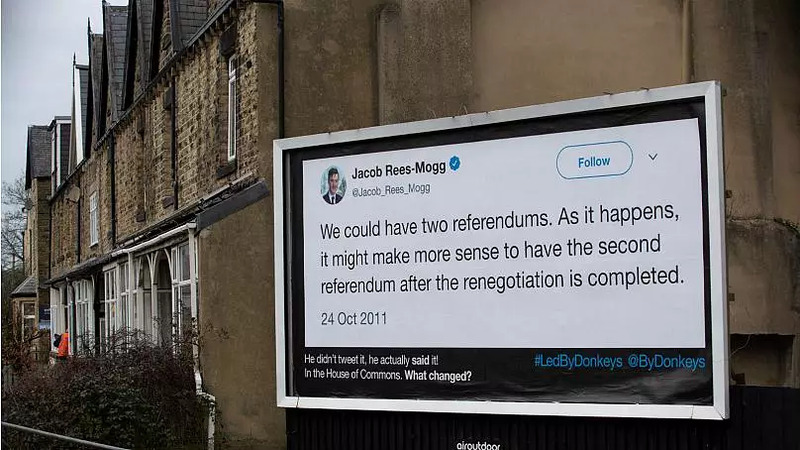 The stunt is part of a campaign by the group Led By Donkeys, which has been trying to hold politicians to account by pasting large-scale images of their past tweets about Brexit onto advertising boards. 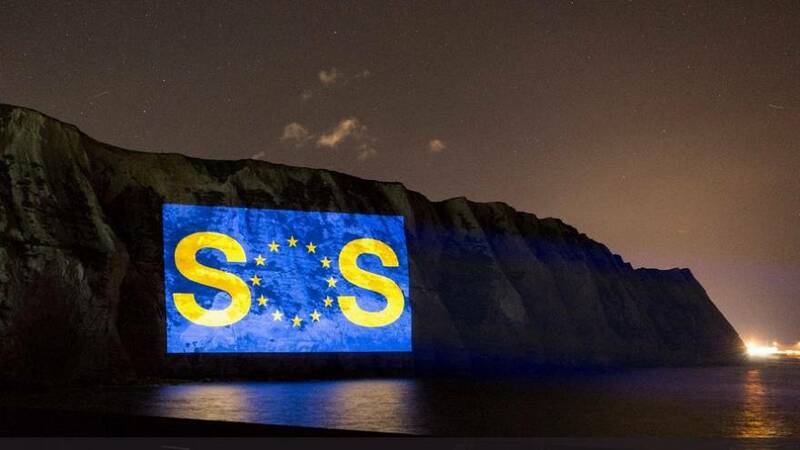 The image projected on the White Cliffs of Dover in southern England was 3,000 square metres in size, making it visible from a long distance. The image of SOS — the international distress signal — was just one of a series. Others included a reference to an online petition to the UK parliament to stop Brexit, which has gathered more than six million signatures. The stunt appeared to have caught the attention of the European Parliament's chief Brexit official Guy Verhofstadt who reacted on Twitter. Another of the projected images carried the slogan "THE POLITICIANS HAVE FAILED" and "IT'S TIME FOR A PEOPLE'S VOTE." The four "working dads" behind Led By Donkeys, who wish to remain anonymous, came up with the idea for the project at the pub and "borrowed advertising real estate from companies who could afford it" for their first "guerilla" posters. They started out with tweets from former Prime Minister David Cameron and ex-Secretary of State David Davis, going on to feature those of Conservative MPs Boris Johnson and Jacob Rees-Mogg. "We were angry that Brexiters promised the earth and got away with it," a spokesman for the group told Euronews in February.